What Does Code P0871 Mean? 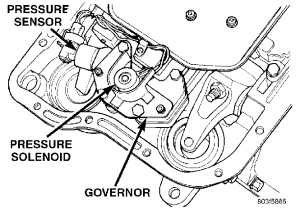 The transmission fluid pressure (TFP) sensor, or switch, is used to determine internal transmission pressure. This information is relayed to the transmission control module (TCM) where it is used to determine control of various outputs, such as the pressure control solenoids. The TFP directly affects transmission shift quality. Some transmissions will have multiple transmission fluid sensors. The TFP is a type of sensor called a transducer, which changes internal resistance relative to pressure. The powertrain control module (PCM) sends a reference voltage (typically 5 volts) to the sensor. The sensor then changes its internal resistance in relation to line pressure and sends a return signal voltage to the PCM. 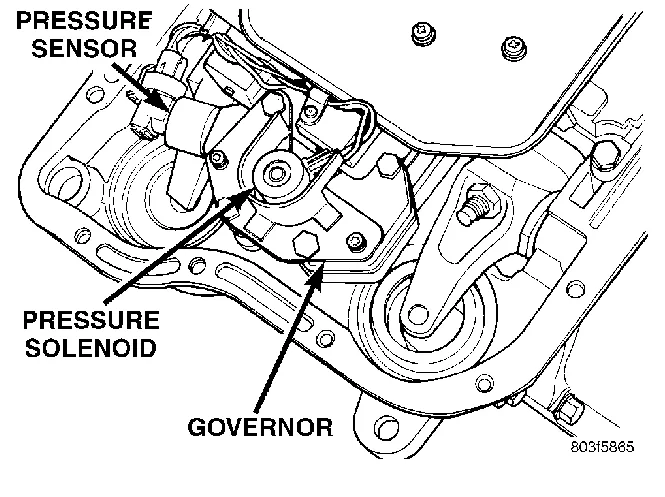 The TFP is often located inside the transmission or the valve body, making it difficult to access. Code P0871 indicates the TCM has detected incorrect TFP circuit performance. Code P0871 indicates the TCM has detected incorrect TFP circuit performance. What are the common causes of code P0871 ? What are the symptoms of code P0871 ? How do you troubleshoot code P0871 ? Begin by checking the transmission fluid level and condition. If the transmission fluid is low, determine the cause and repair as needed. Next, check for technical service bulletins (TSBs) regarding the concern. If no TSBs are found, locate the TFP and perform a visual inspection of the sensor and wiring. Repair as needed. If no problems are found up to this point, move forward with a sequential diagnosis of the system. Refer to the manufacturer’s service information for the exact diagnostic process. Test the sensor: disconnect the sensor connector. With the key and ignition off, connect a digital multimeter set to ohms between the sensor signal terminal and ground terminal (or chassis ground). Consult the factory repair information for the sensor resistance specifications with no pressure applied. If the readings you obtain don’t fall within the factory specifications, the sensor should be replaced. Also, if your meter reads over limit (OL) there is an open circuit and the sensor must be replaced. Autozone offers free online repair manuals for many vehicles under their repair help section (http://www.autozone.com/repairinfo )and ALLDATA offers single vehicle subscriptions (http://www.alldata.com/oe-info-student-and-diyer). Check the reference voltage portion of the circuit: with the ignition on, use a digital multimeter set to DC volts to check for reference voltage to the sensor. Connect the negative meter lead to ground and the other to the reference voltage terminal on the sensor connector. The meter should show reference voltage (typically 5 volts). If it does not, there is a problem with the wiring or the PCM. Turn the ignition off. 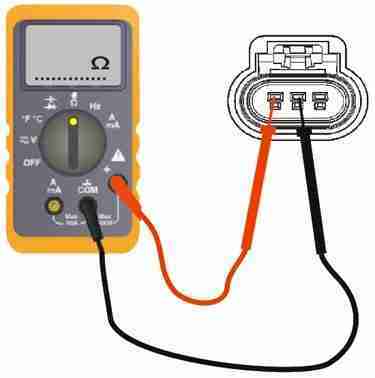 Set the digital multimeter to ohms and connect one lead to the reference signal terminal on the PCM and the other to the reference signal terminal on the sensor connector. The meter should display a numeric value. If, instead, it displays out of limits (OL), there is an open circuit between the PCM and sensor that must be repaired. If everything is good up to this point, you’ll want to check for voltage at the PCM reference voltage terminal. With the ignition on and the digital multimeter set to DC volts, connect the positive meter lead to the reference voltage terminal on the PCM and the other to ground. The meter should show reference voltage (typically 5 volts). If it does not, the PCM is likely faulty or requires reprogramming. Since PCM failure is rare, it’s a good idea to double check all your work up to this point prior to replacement. Check the ground side of the circuit: You can check for continuity between the sensor and ground using a digital multimeter set to ohms. Touch one end of the meter to the harness side of the sensor connector and the other to the chassis ground. An over limit reading (OL) on your meter indicates there is an open on the ground side of the circuit. 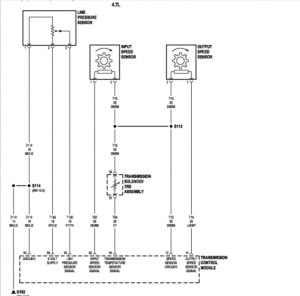 Consult the factory wiring diagram/repair information to trace and repair the problem. Check the return signal portion of the circuit: with the ignition off, use a digital multimeter set to ohms to check for continuity between the return signal terminal on the sensor and the corresponding terminal on the PCM. Connect one meter lead to the return signal terminal on the PCM and the other to the return terminal on the sensor connector. If the meter displays out of limits (OL), there is an open circuit between the PCM and sensor that must be repaired. If the meter reads a numeric value, there is continuity. This means there is either an internal transmission problem, the PCM is faulty or the PCM requires reprogramming. Since these options are rare, it’s a good idea to double check all your work up to this point before proceeding with any further repairs. Thanks ,good information Help save mony .and fix my auto.